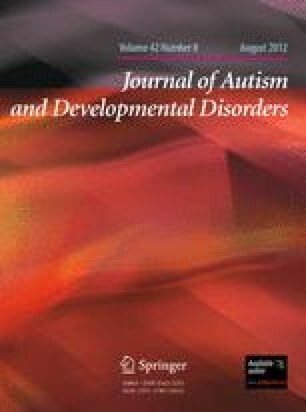 This study aimed to assess the effectiveness of acupuncture as a treatment for autism spectrum disorders (ASD). We searched the literature using 15 databases. Eleven randomized clinical trials (RCTs) met our inclusion criteria. Most had significant methodological weaknesses. The studies’ statistical and clinical heterogeneity prevented us from conducting a meta-analysis. Two RCTs found that acupuncture plus conventional language therapy was superior to sham acupuncture plus conventional therapy. Two other RCTs found that acupuncture produced significant effects compared with conventional language therapy or complex interventions. Three RCTs suggested that acupuncture plus conventional therapies had beneficial effects compared with conventional therapy alone. Four more RCTs reported that subjects who received acupuncture experienced significant effects compared with subjects who were waitlisted or received no treatment. The results of these studies provide mixed evidence of acupuncture’s effectiveness as a treatment for ASD symptoms. The online version of this article (doi: 10.1007/s10803-011-1409-4) contains supplementary material, which is available to authorized users. Myeong Soo Lee and Tae-Young Choi were supported by KIOM (K11111). Higgins, J. P. T., Altman, D. G., & Sterne, J. A. C. (2011). Chapter 8: Assessing risk of bias in included studies. In J. P. T. Higgins & S. Green (Eds. ), Version 5.1.0 (updated March 2011). The cochrane collaboration, 2011. Available from www.cochrane-handbook.org.